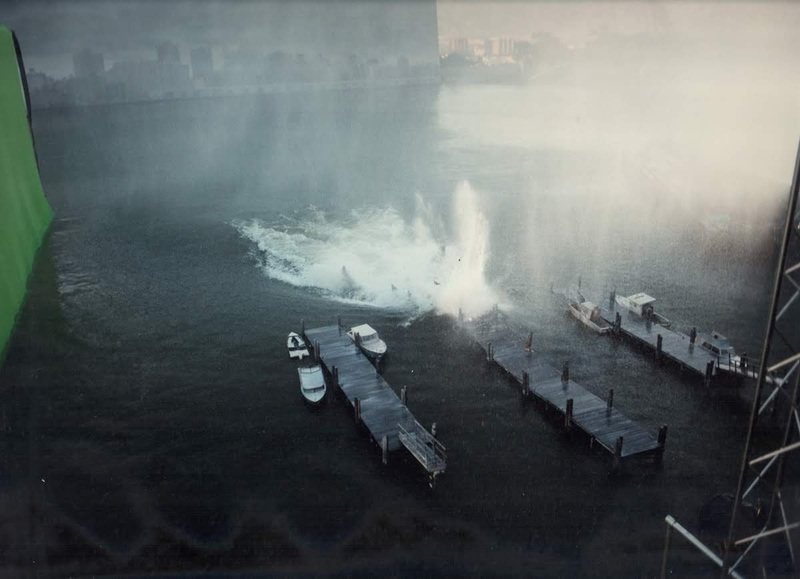 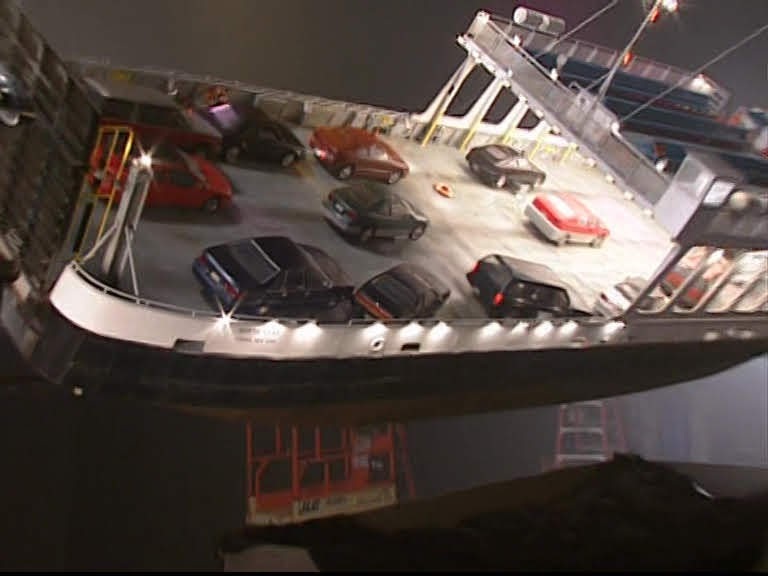 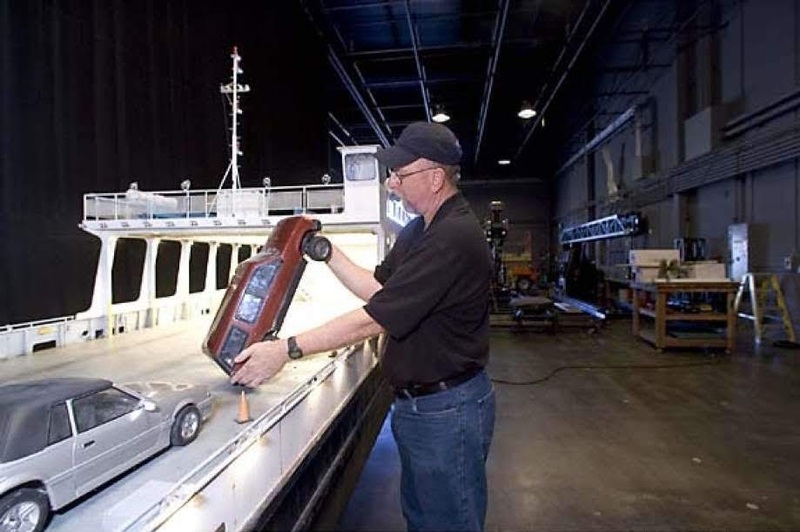 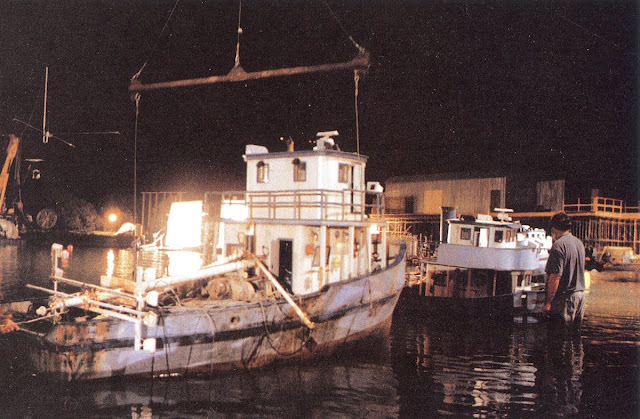 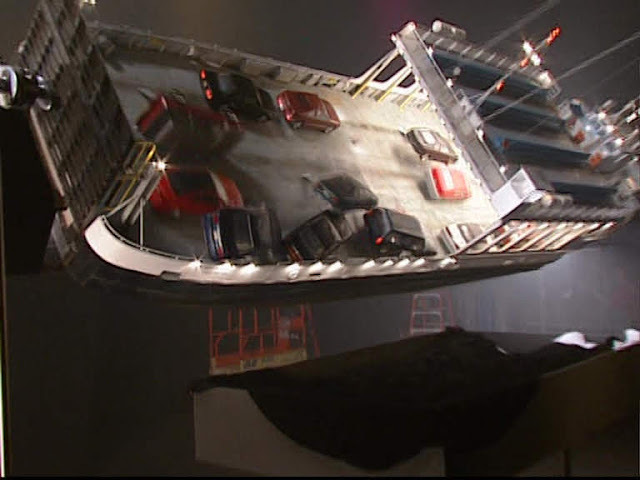 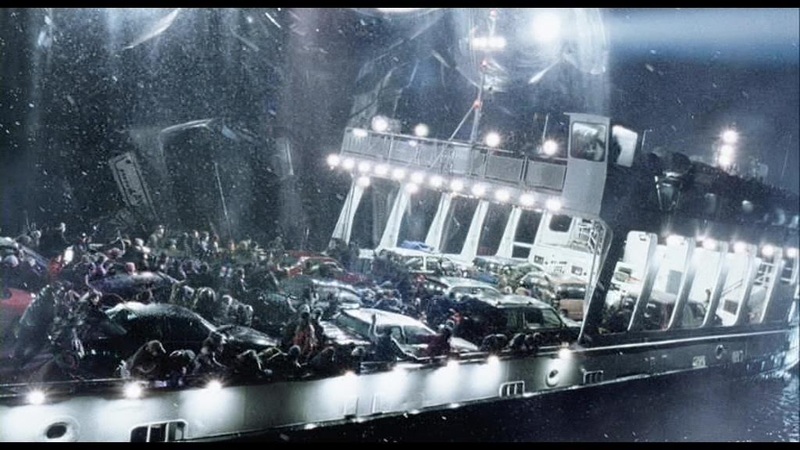 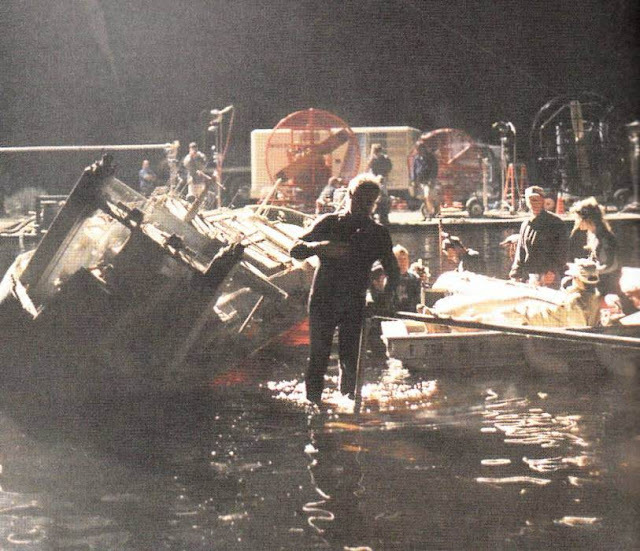 There is a car carrying, river crossing ferry in a sequence of this film that for for the rolling over shots required a 1/8th scale miniature complete with twelve 1/8 scale cars sliding and toppling into the water. 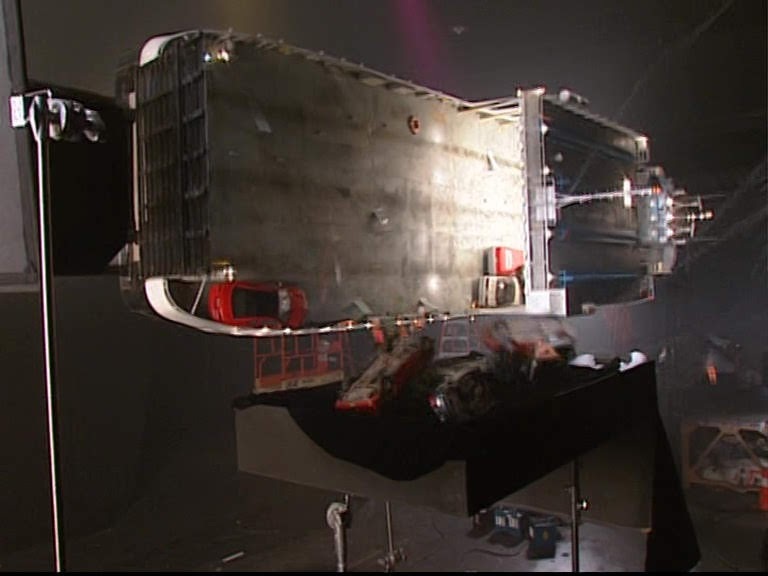 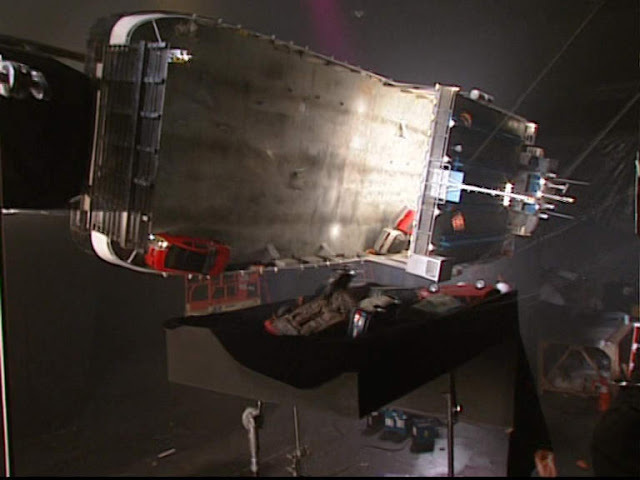 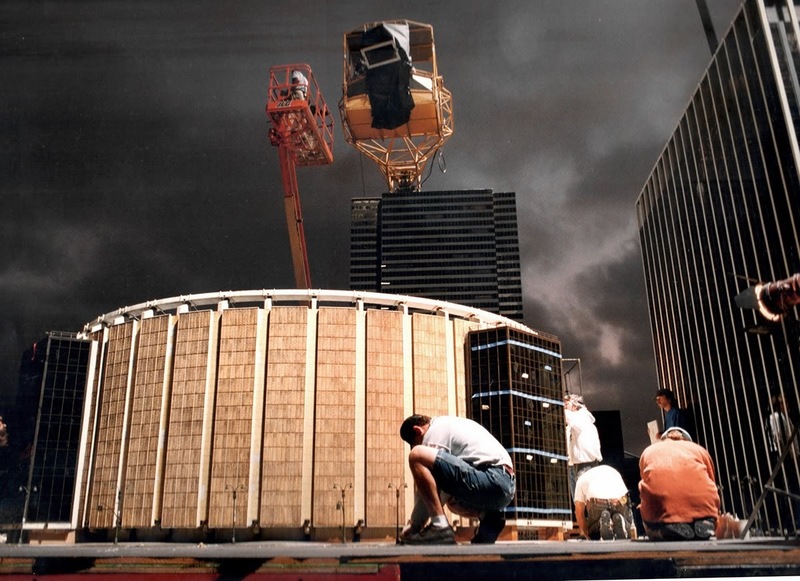 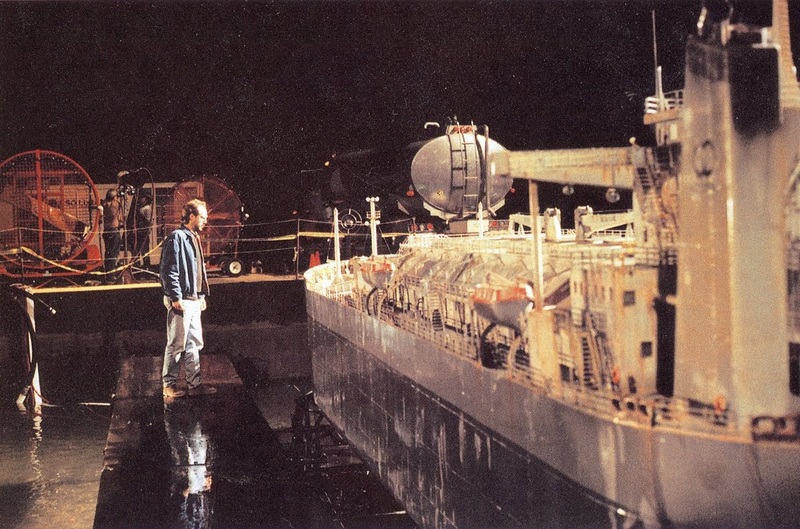 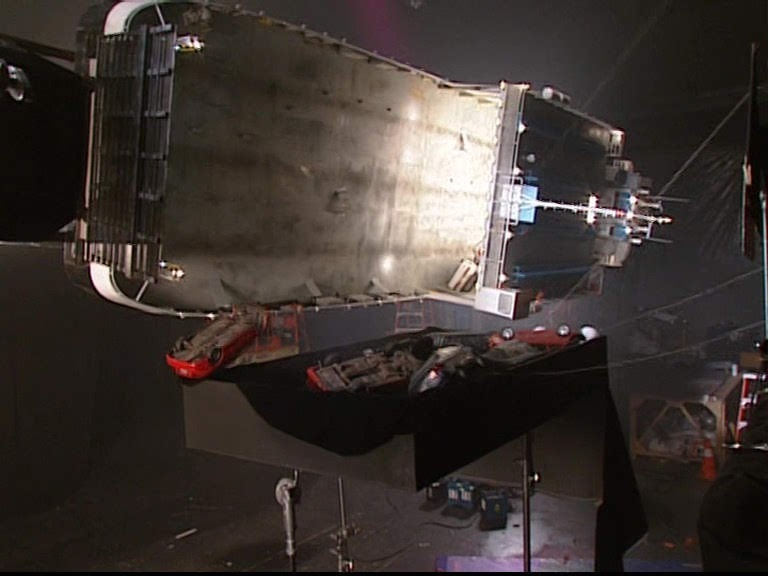 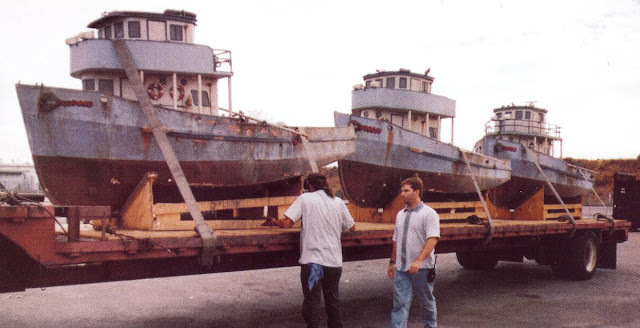 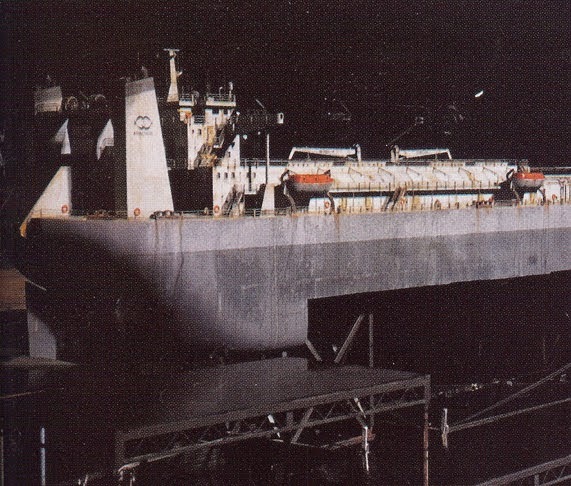 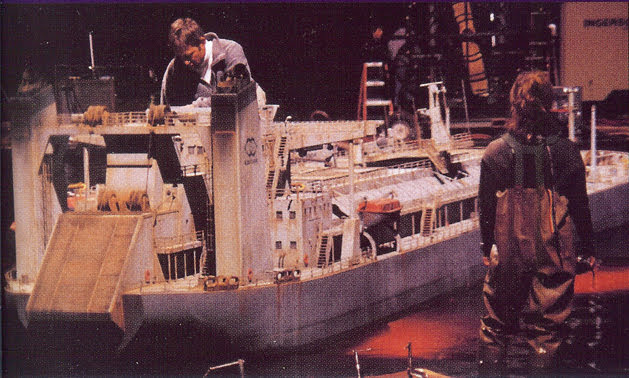 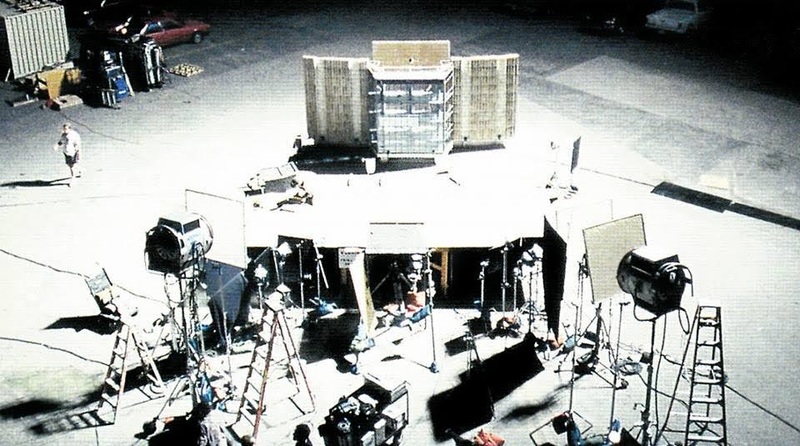 The 21 and a half foot (6.5m) long, 5 foot (1.5m) wide ferry model was shot dry, mounted on a rotating spit about 10 feet (3m) above the stage floor. 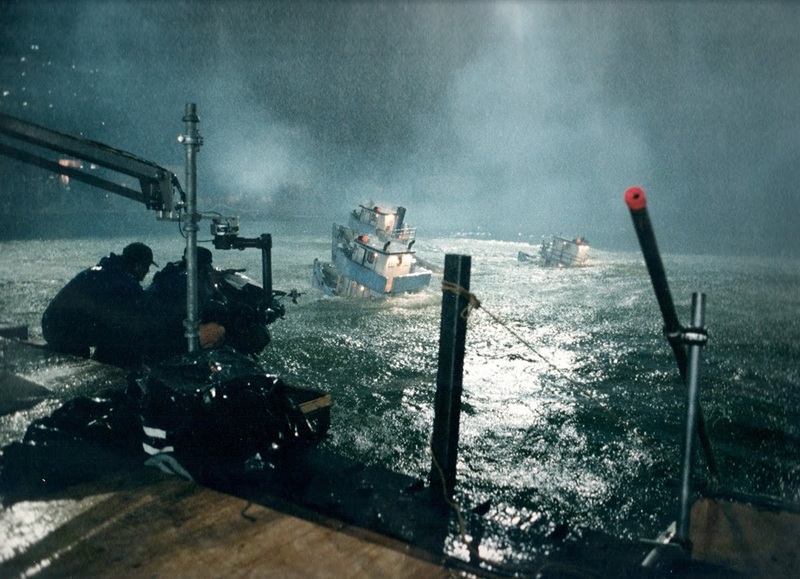 For underwater shots it was photographed in a denser smoke filled stage to represent the murky depths of the river. 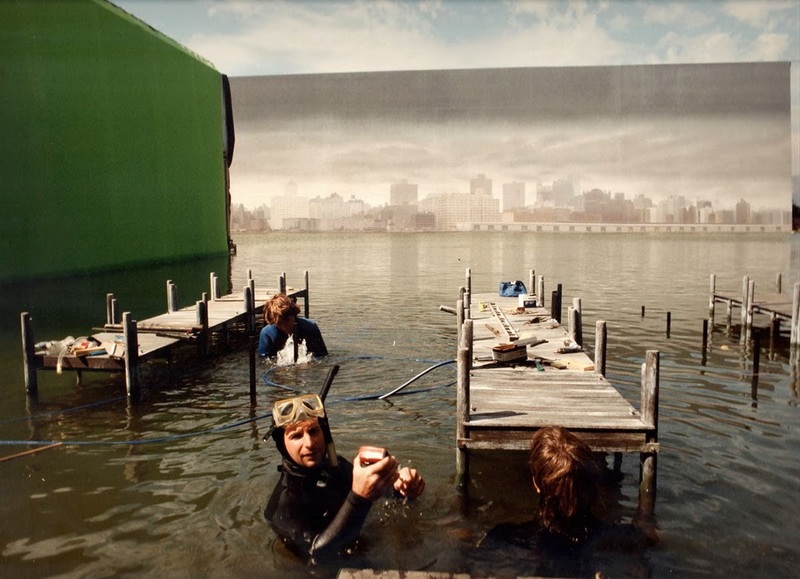 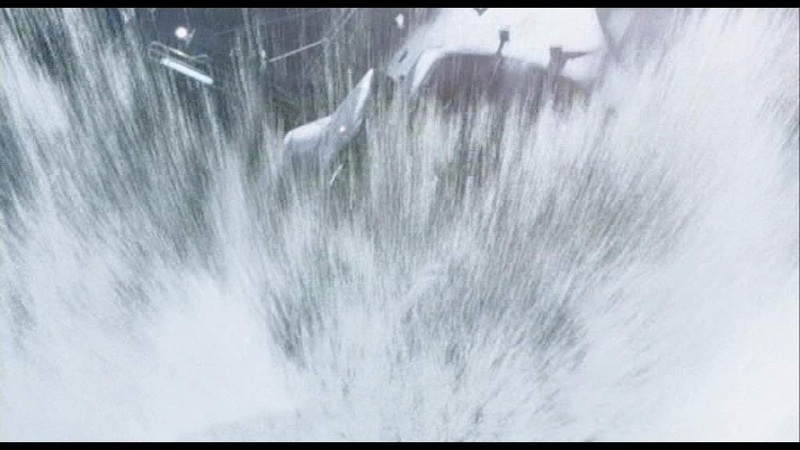 All the water was a combination of elements from live action plates and cg water. 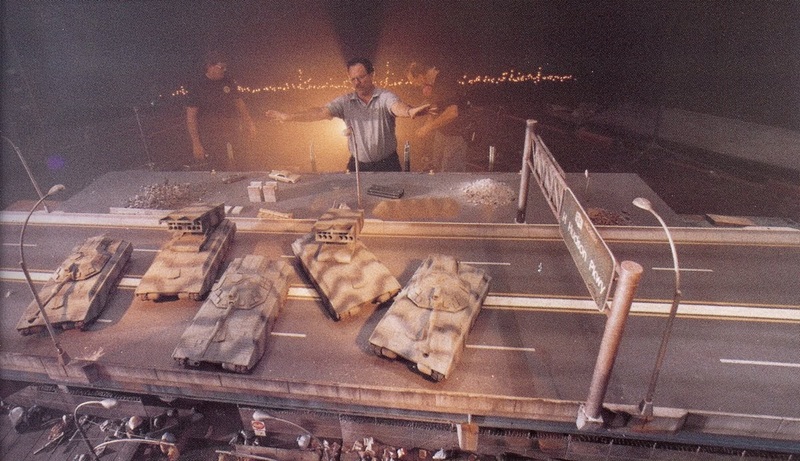 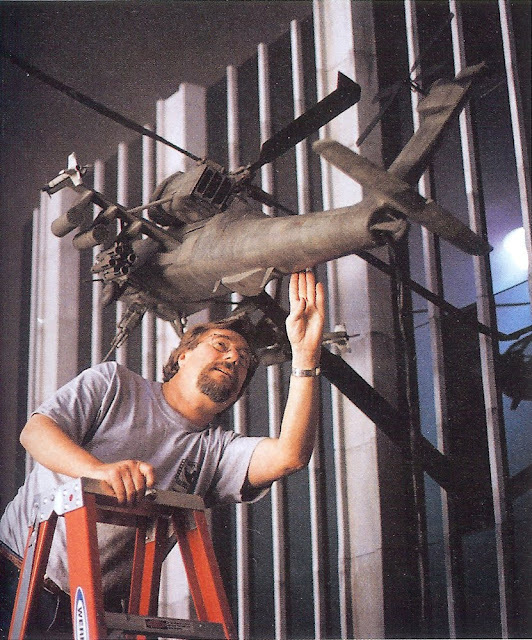 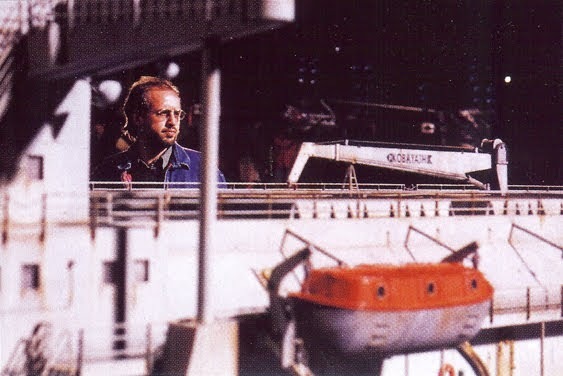 The supervising modelmaker was Steve Gawley at ILM with the visual effects supervisors being Dennis Muren and Pablo Helman. 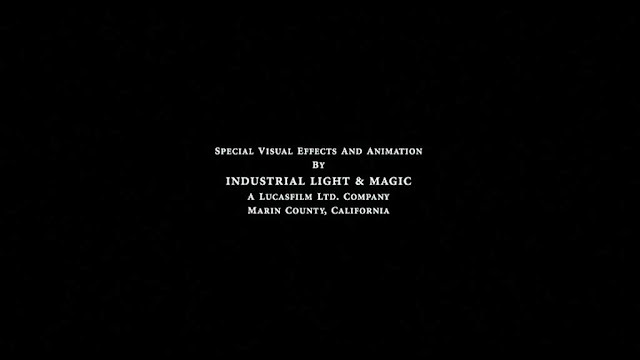 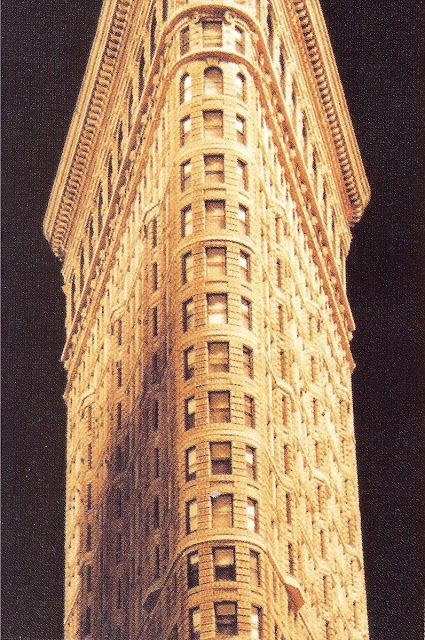 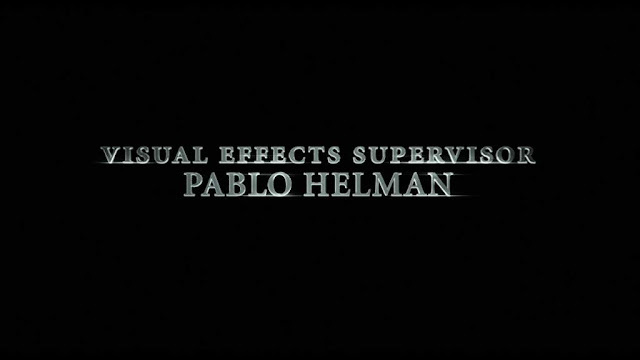 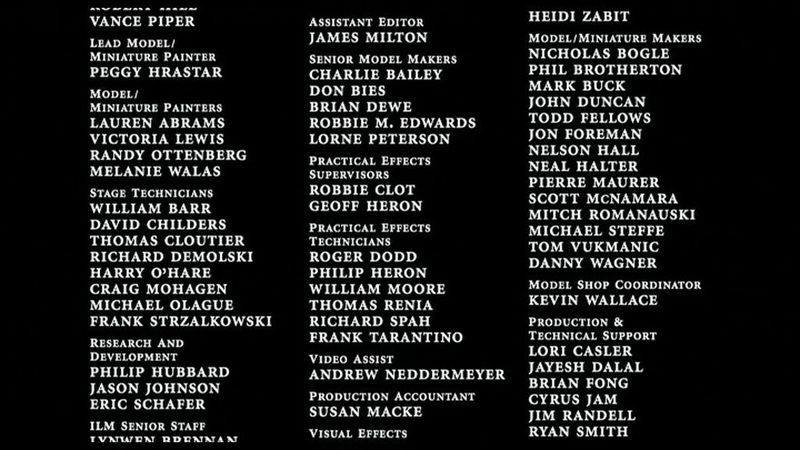 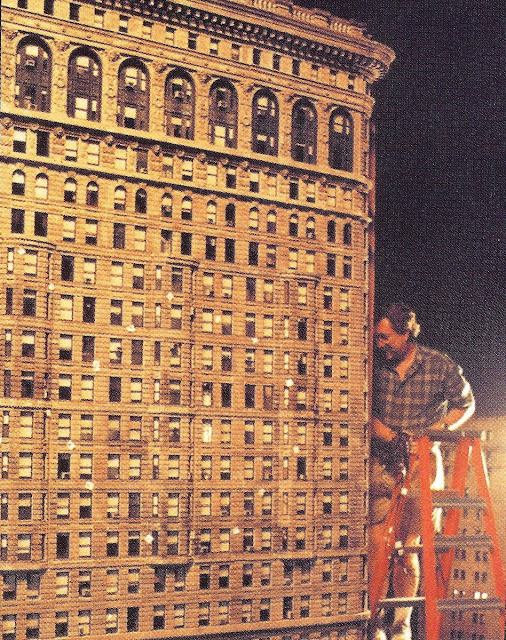 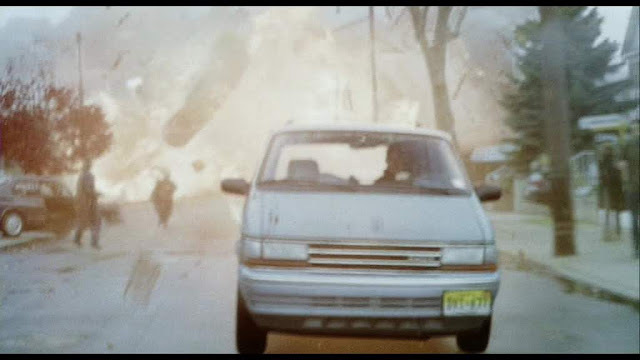 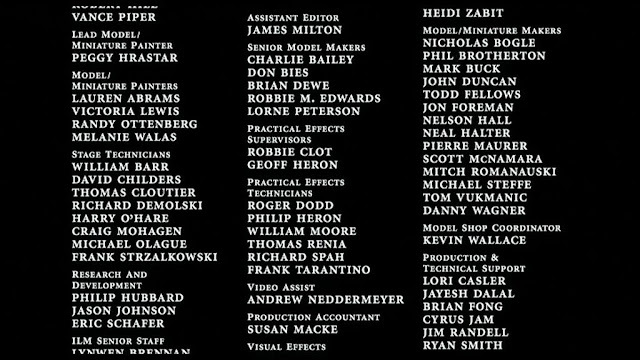 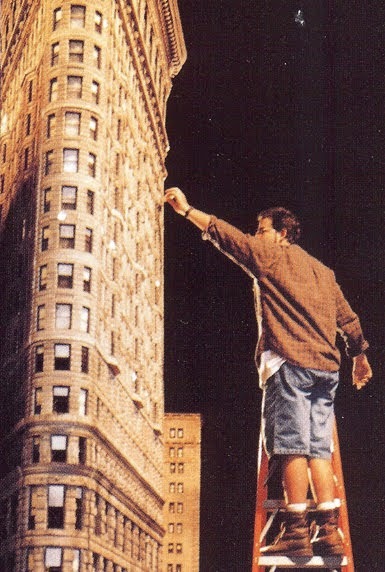 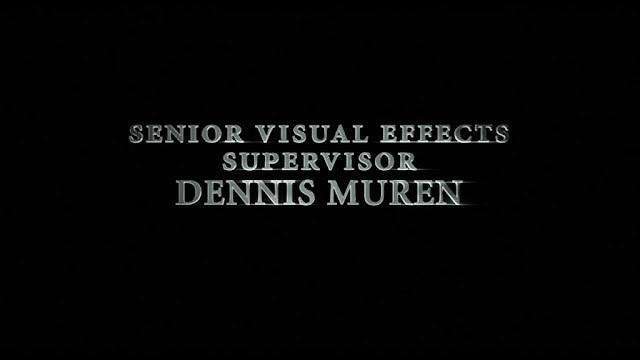 The miniatures director of photography was Marty Rosenberg. 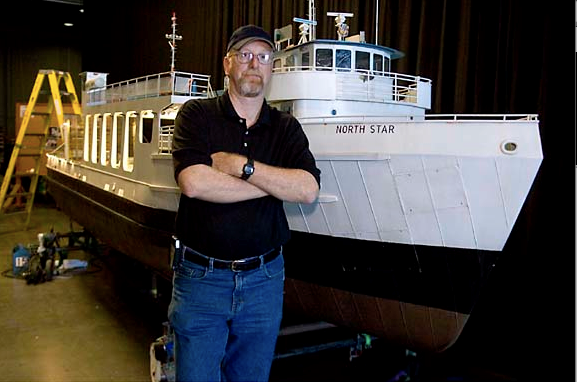 Steve Gawley and the ferry miniature. 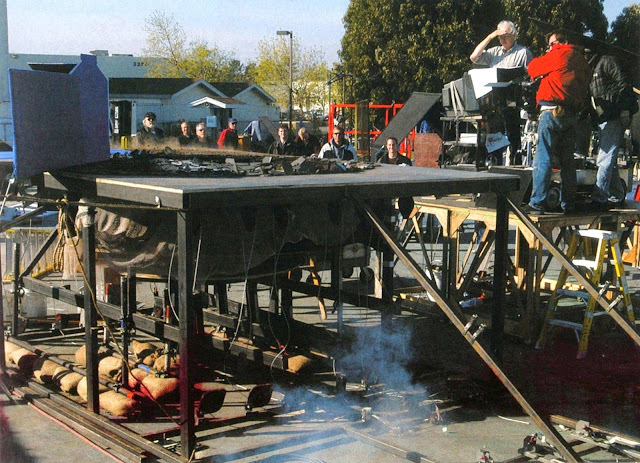 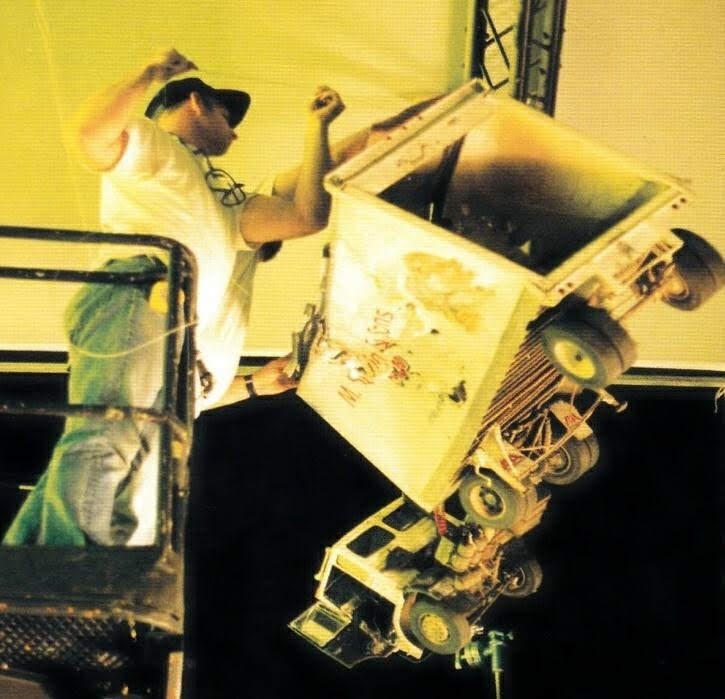 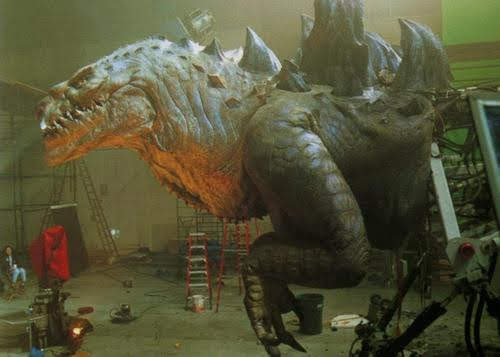 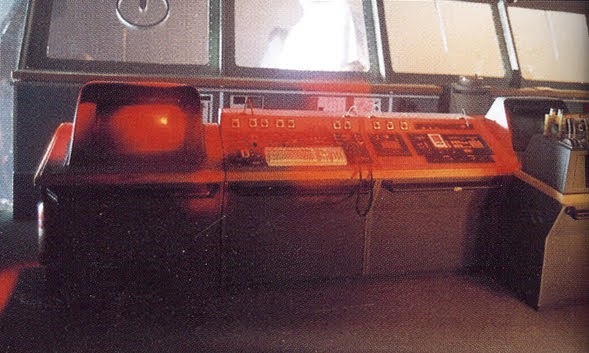 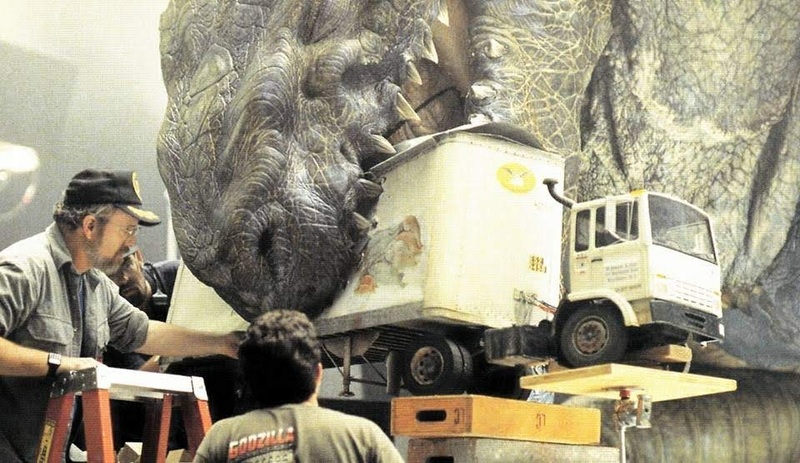 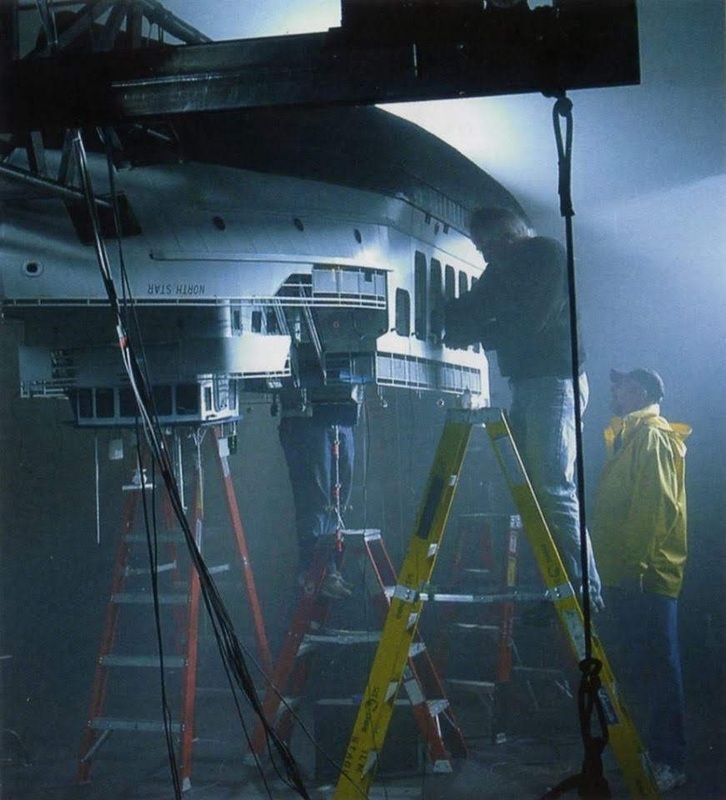 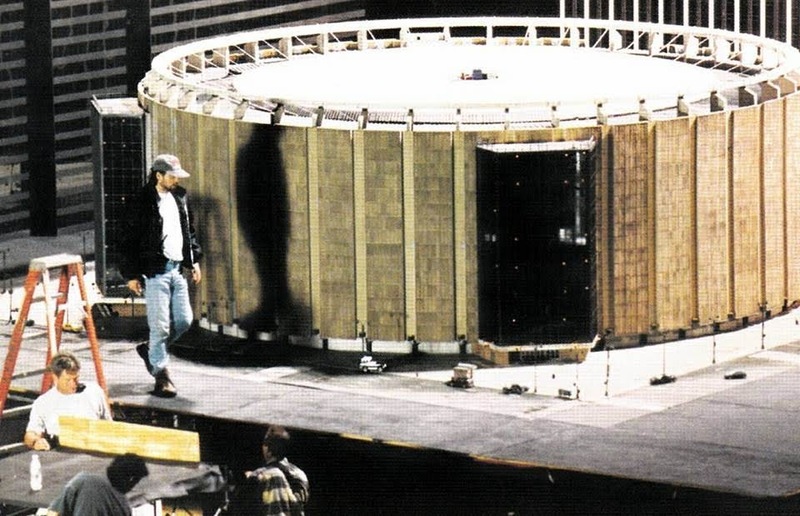 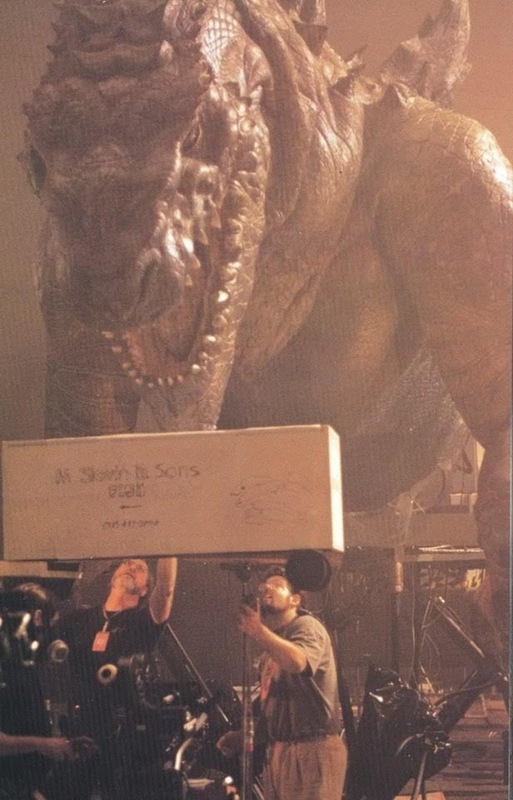 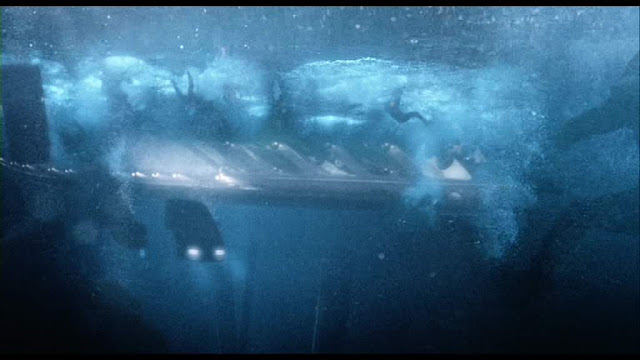 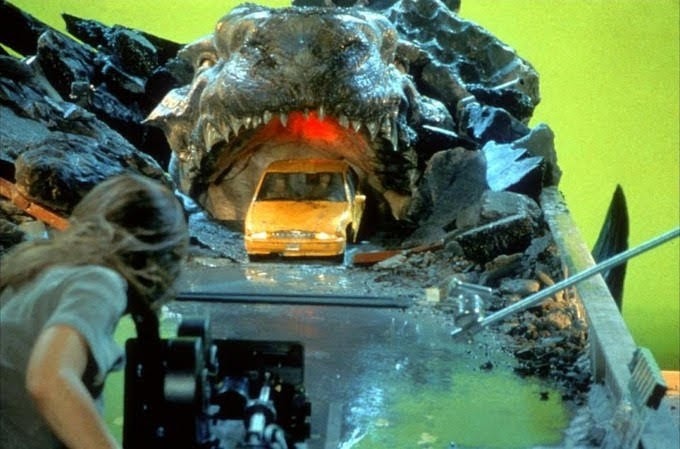 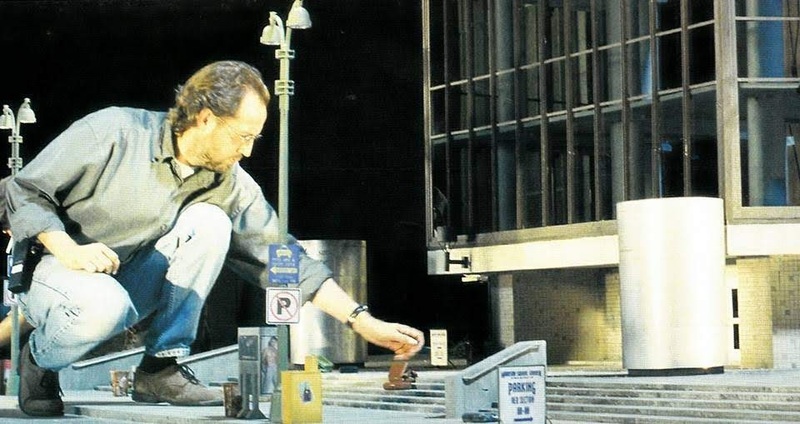 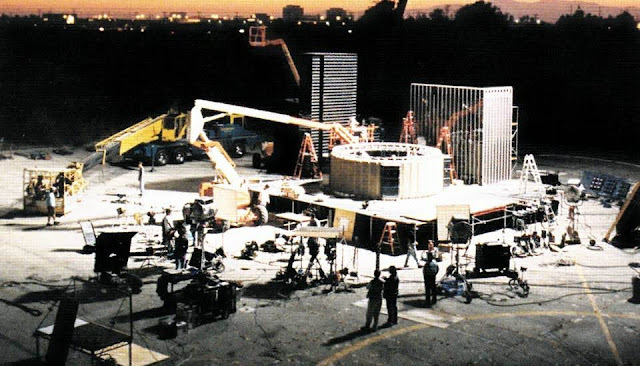 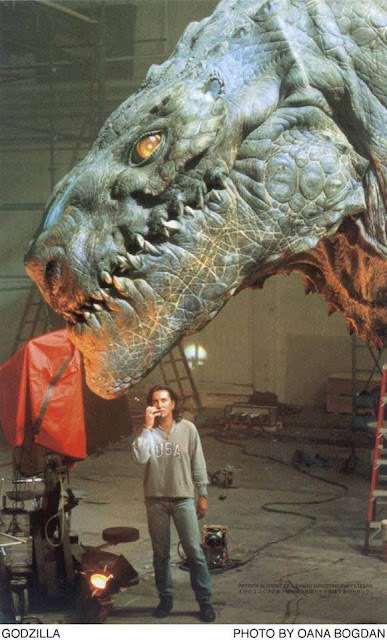 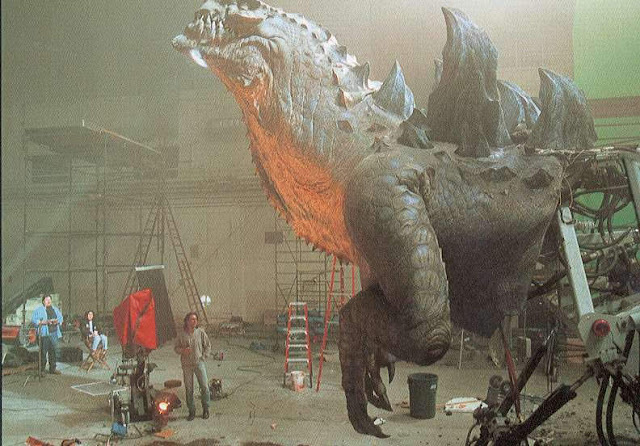 Other miniatures were employed throughout the film. 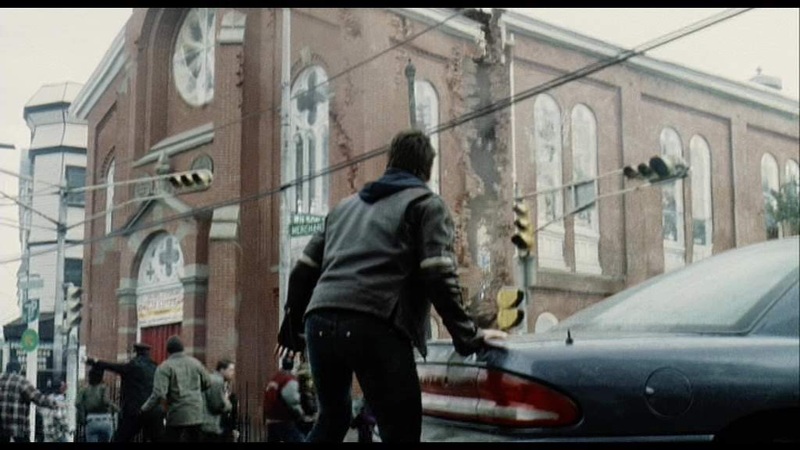 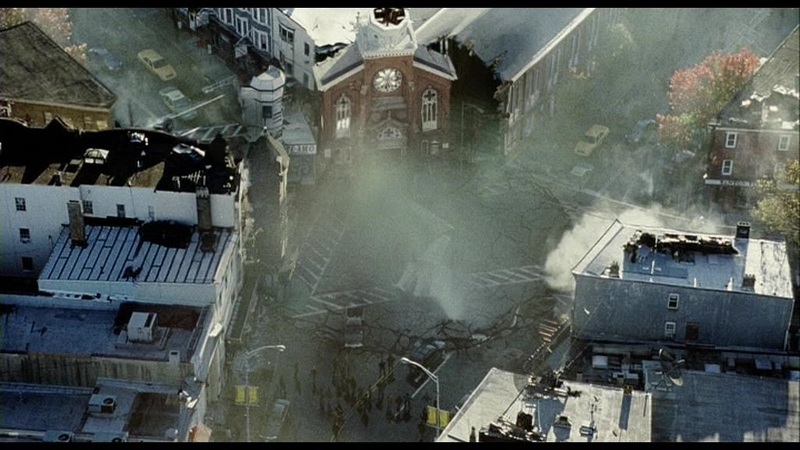 The first one seen on screen is a church front and surrounding buildings. 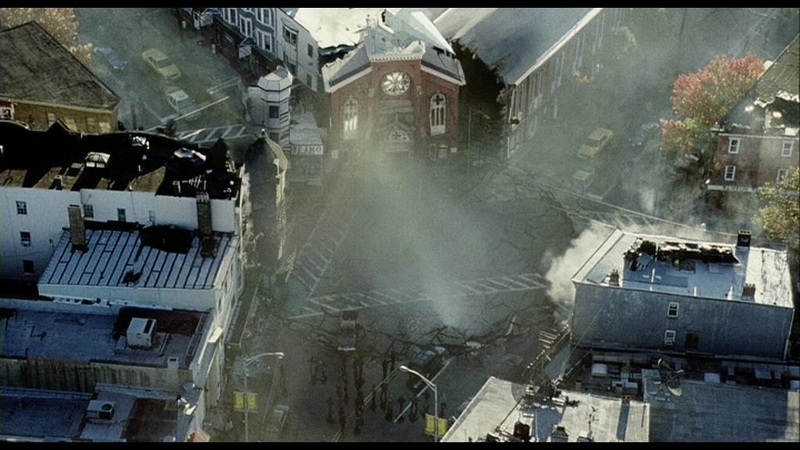 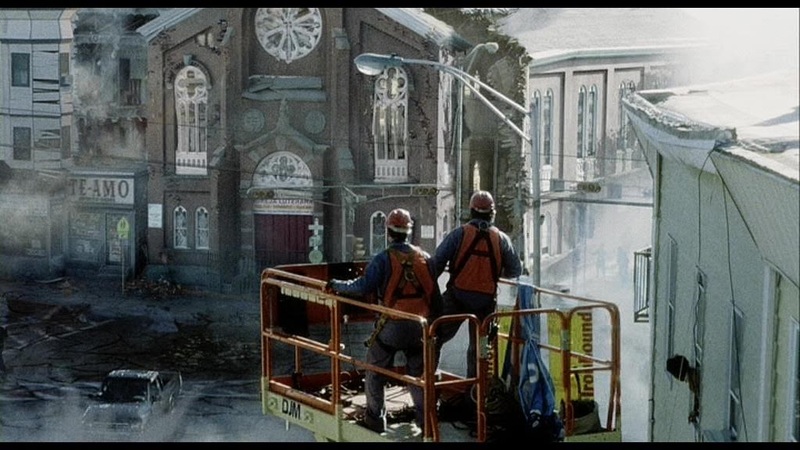 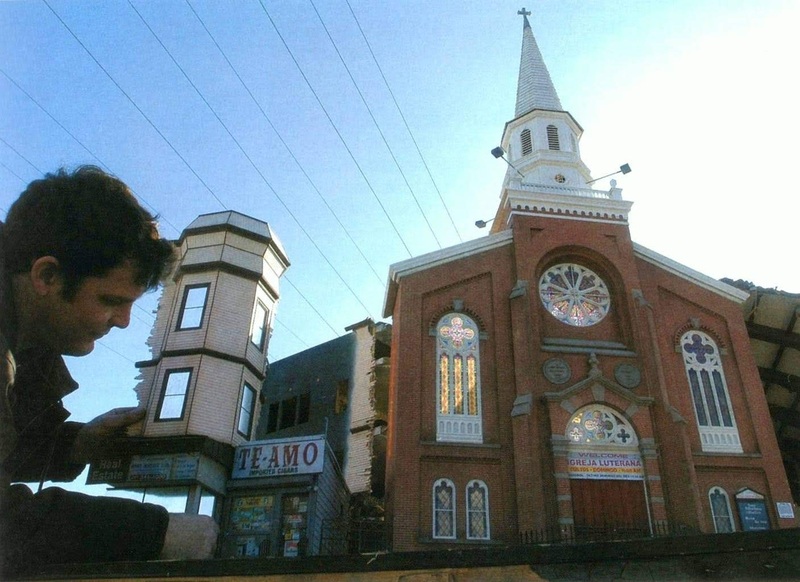 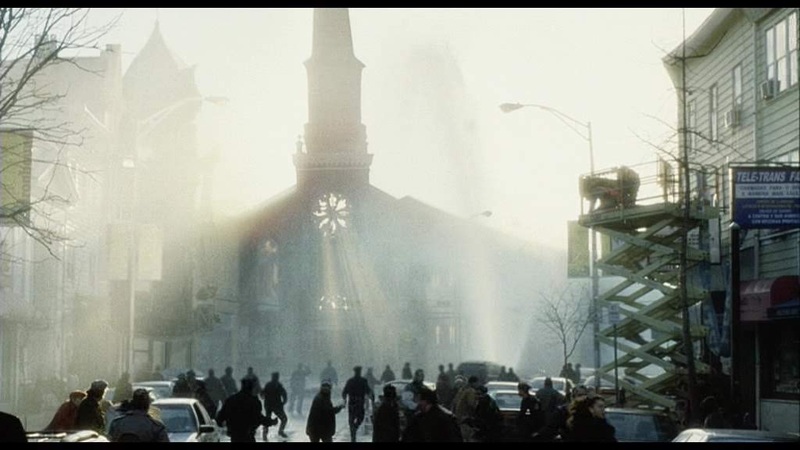 The front of the church splits off as a martian War machine comes up from under the street. Only the front of the church is miniature the rest of the shot is of the location building. There was a miniature made of the street surface that bubbles up and drops away forming a sinkhole. 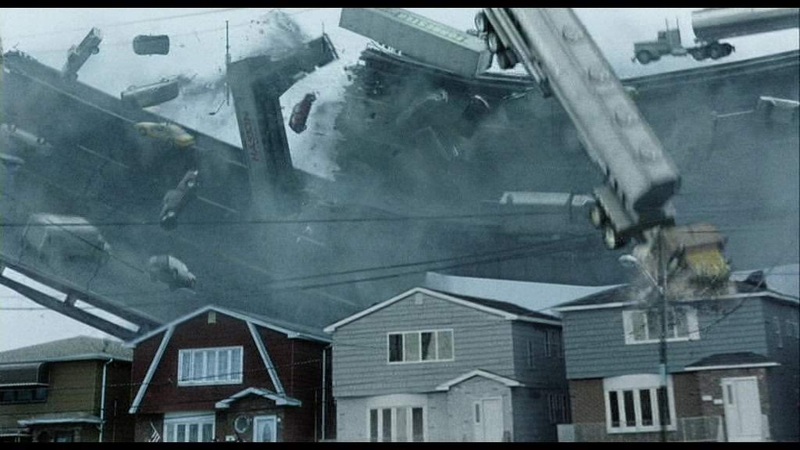 When the massive destruction of a bridge occurs there are a row of four 1/8 scale breakaway houses with a large miniature tanker truck crashing through them. 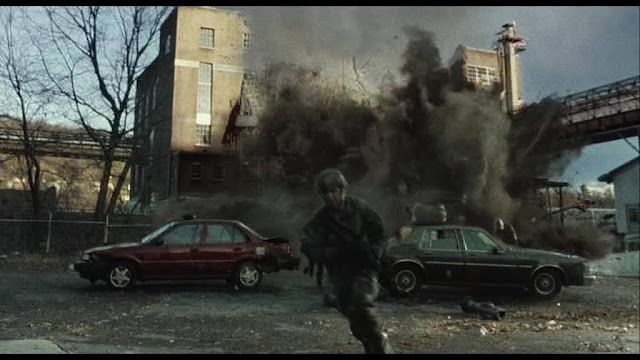 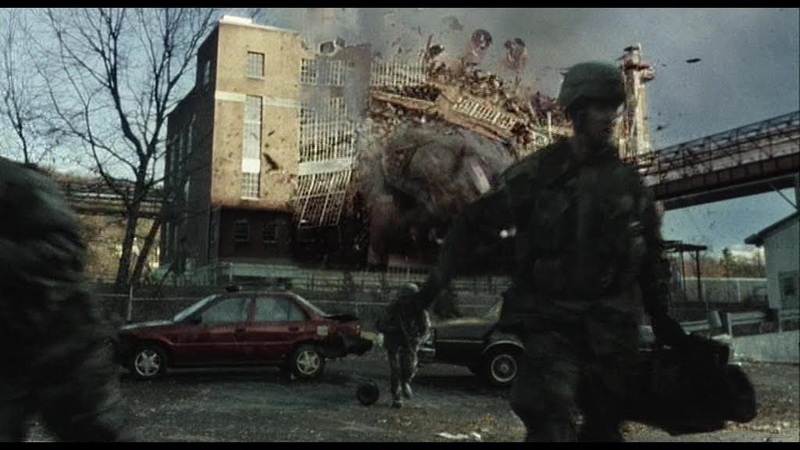 Again rest of the shot is a mix CG and live action elements. 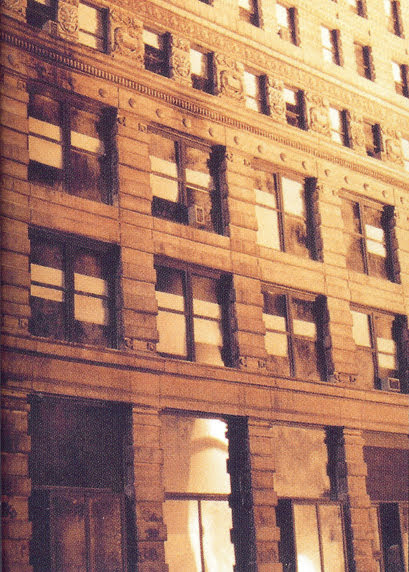 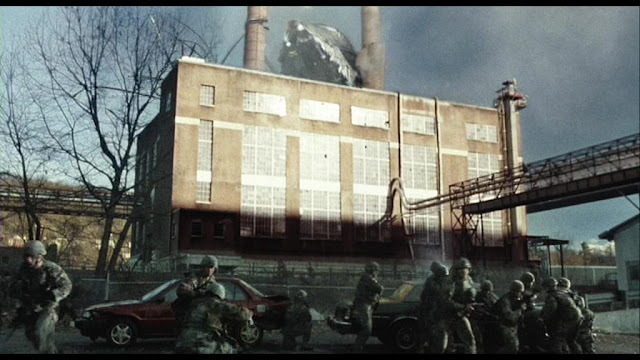 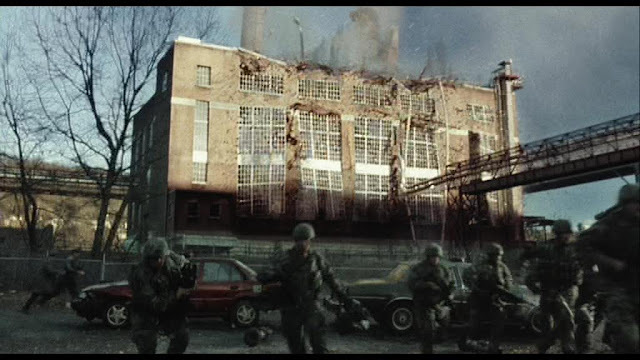 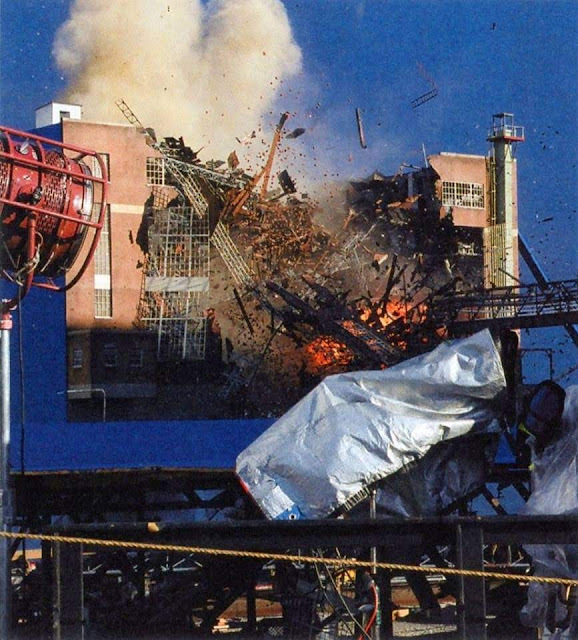 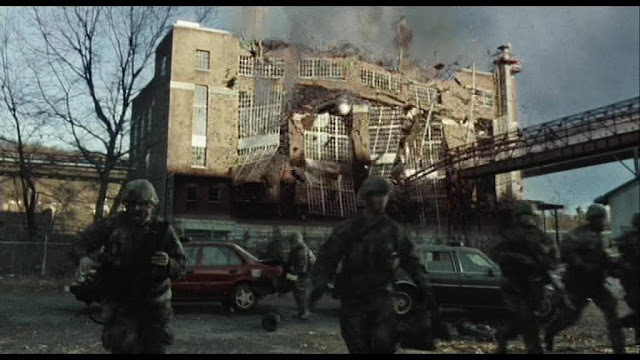 As the war machines start to succumb to the effects of Earth's bacteria one falls through a building that was also built as a very convincing 1/12 scale breakaway miniature. 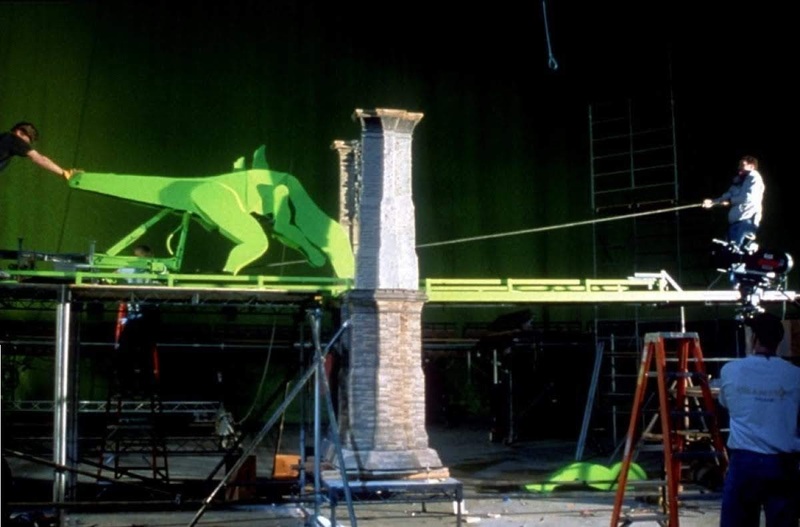 Two miniature breakaway brick chimneys were also built for the sequence. 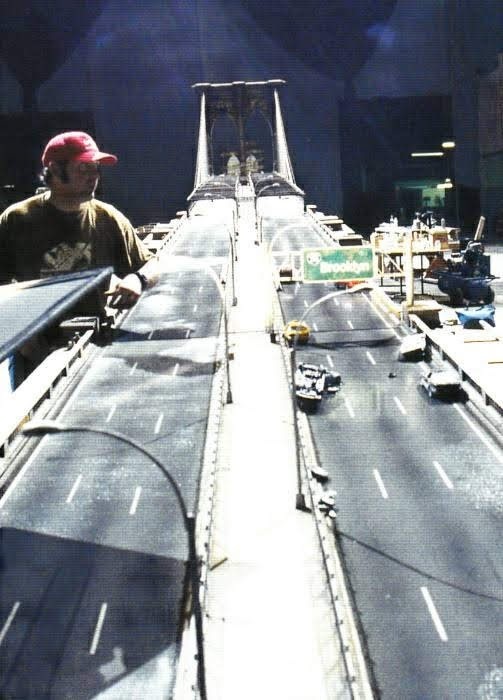 There was also a miniature of a deserted street built for a scene that was cut from the film. 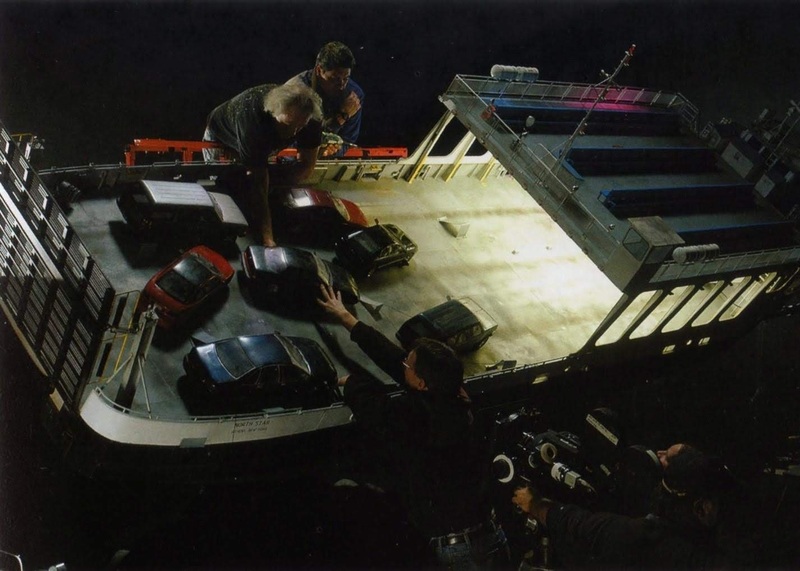 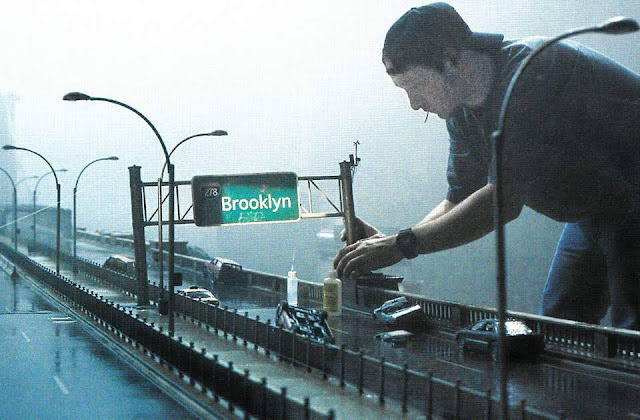 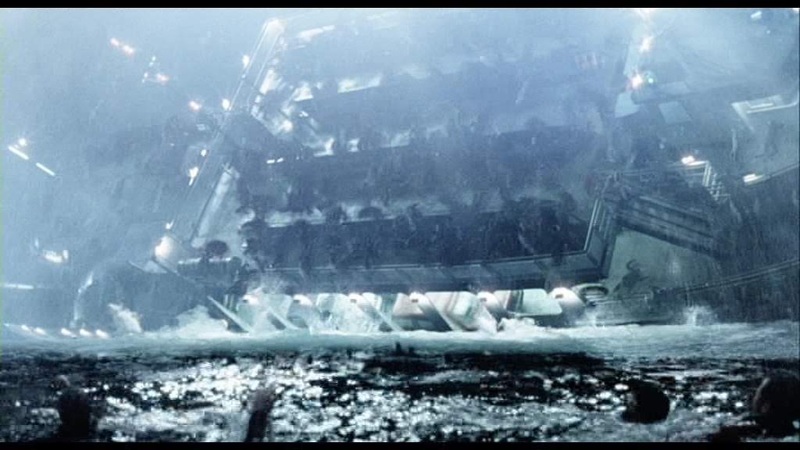 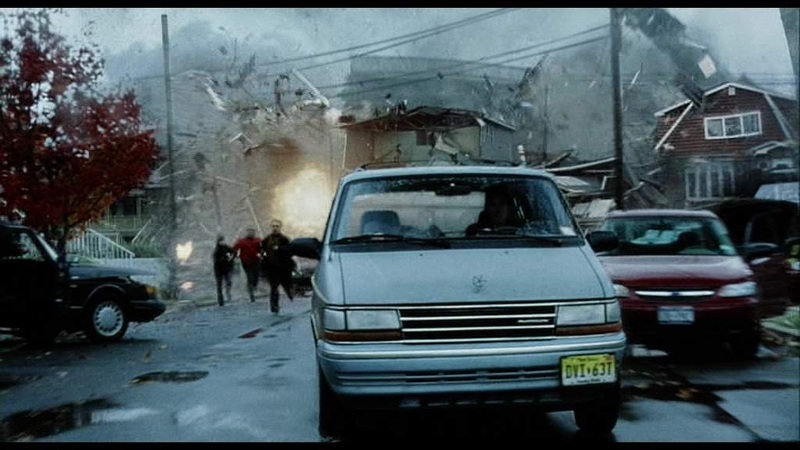 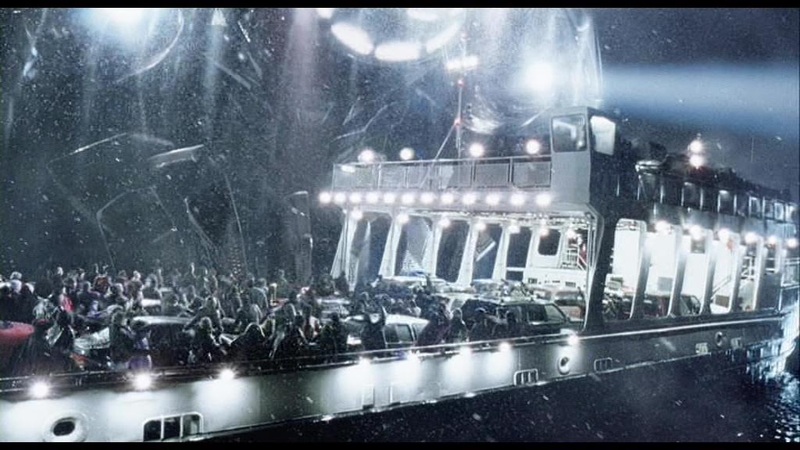 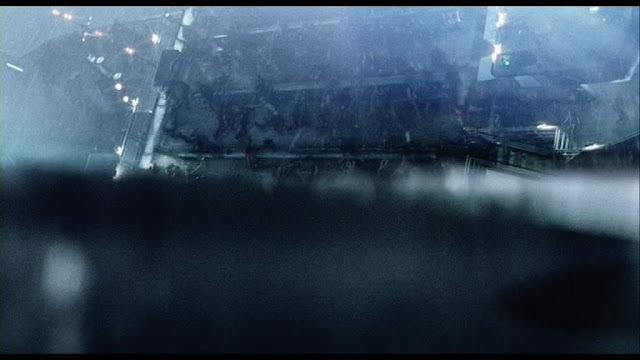 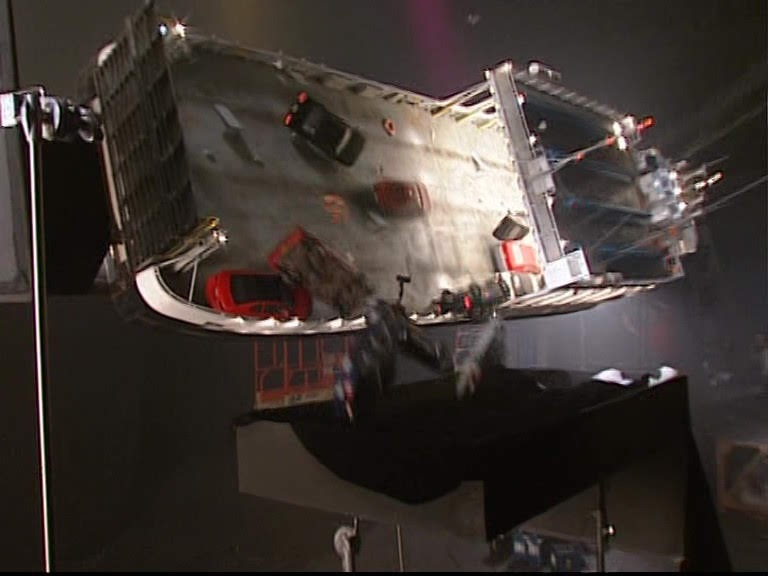 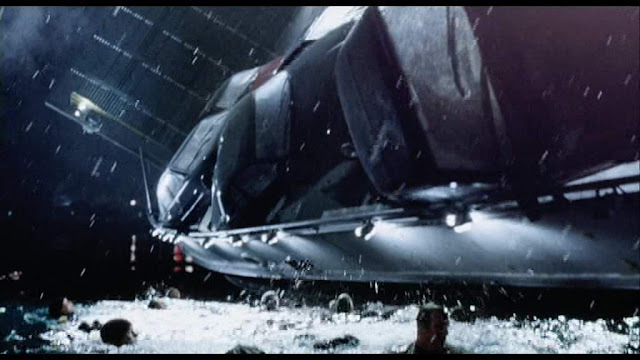 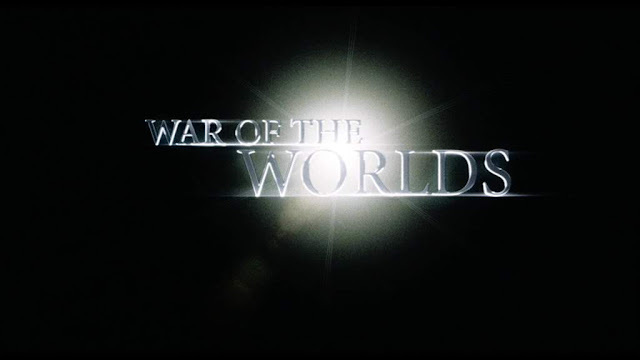 Miniature sequence cut from the final film. The effects in the film are so awash with multiple elements from various live and CG sources it is difficult to pick out the miniature work. I am sure that this is precisely what the visual effects supervisors were aiming for and the film is pretty successful in that regard. 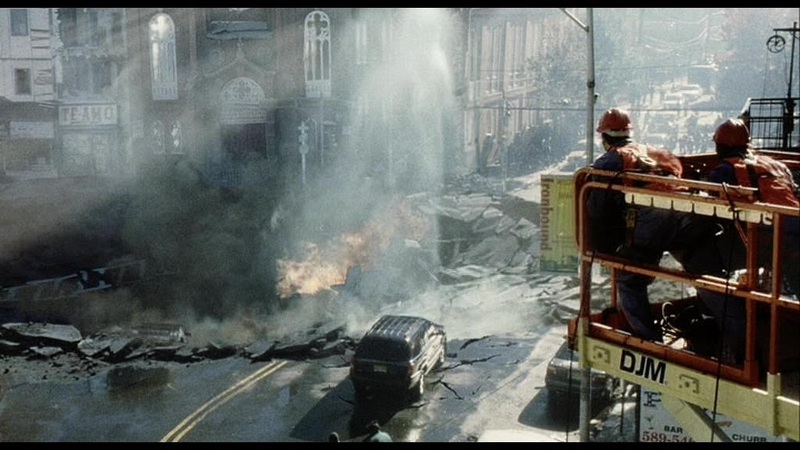 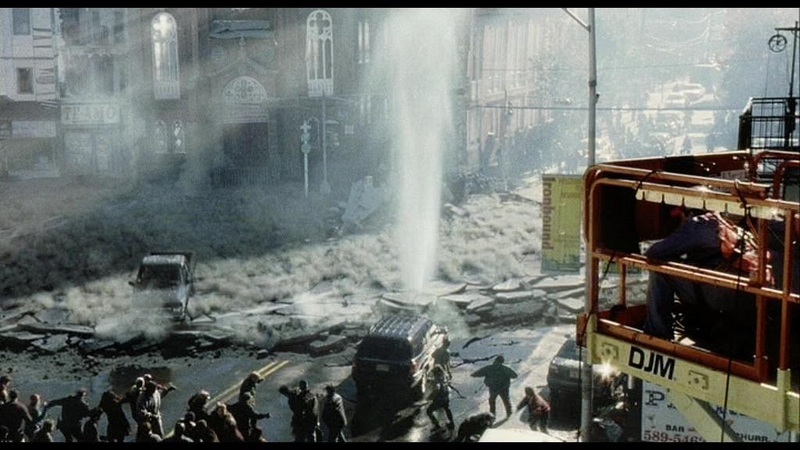 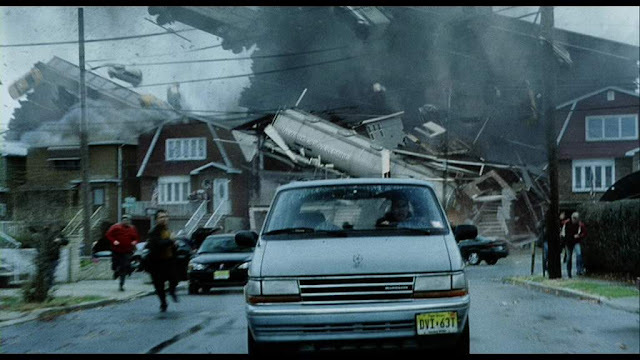 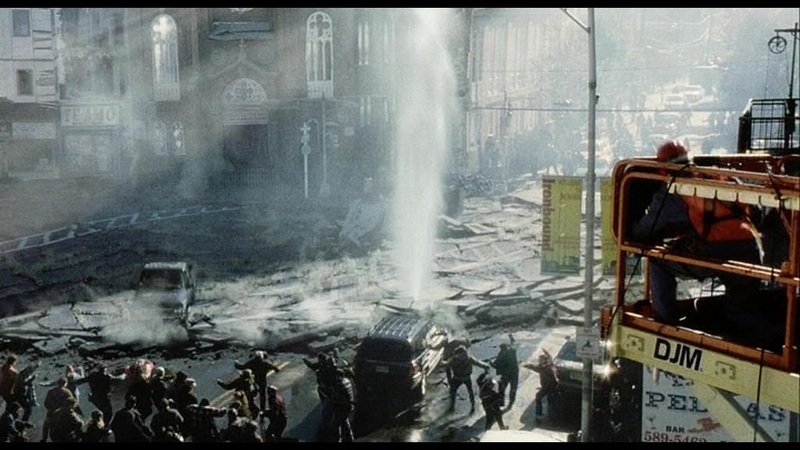 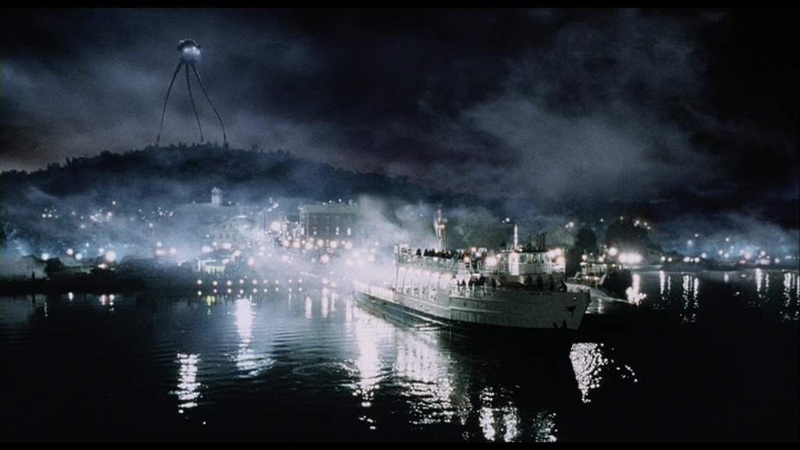 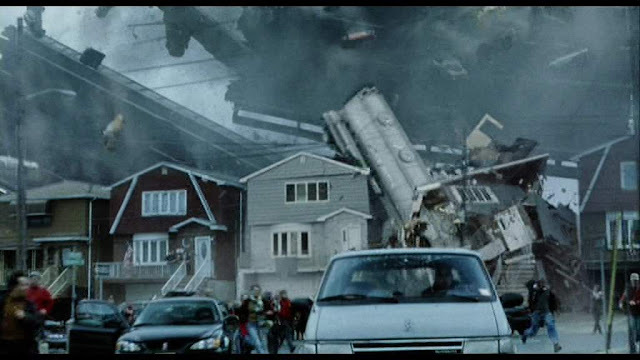 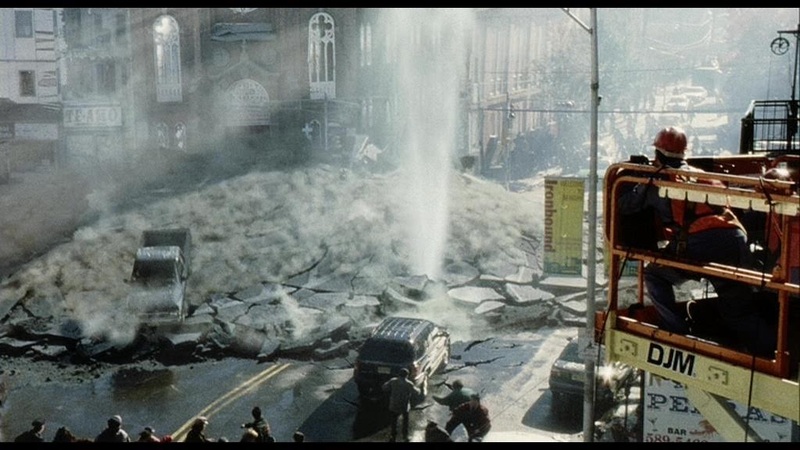 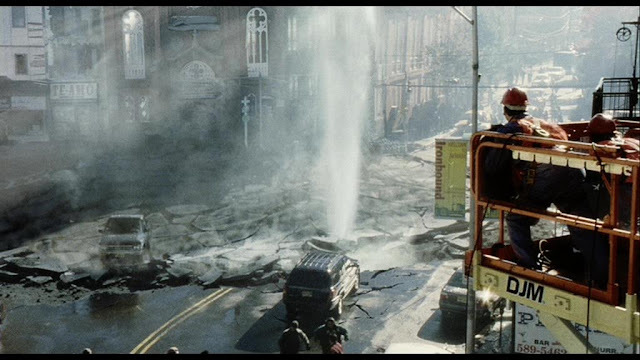 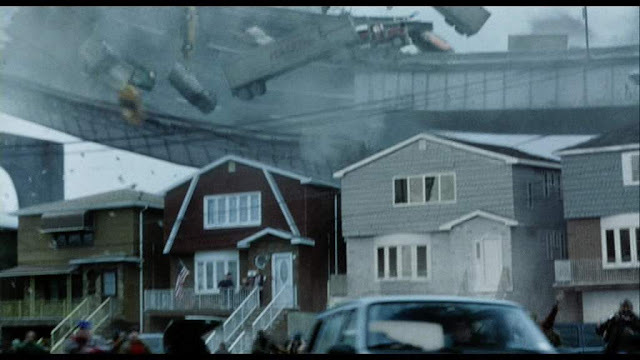 I tend to prefer the older films where the miniatures are as unadulterated as possible, where a miniature shot is all miniature much like the old War of the Worlds movie from the fifties. 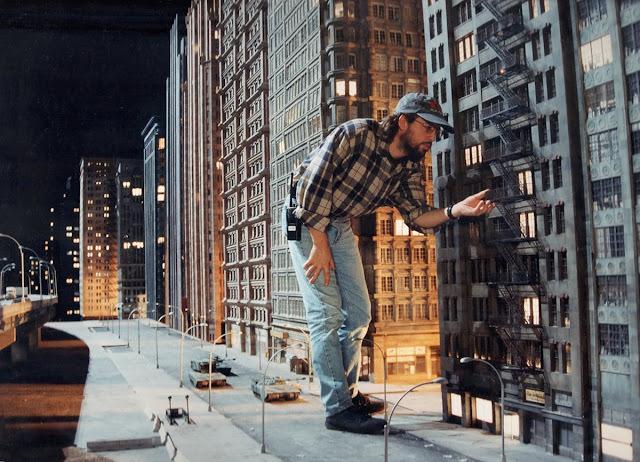 I read a comment on a Facebook group recently where someone commented " I prefer a miniature shot that looks like a miniature, than a CG shot that looks like CG". 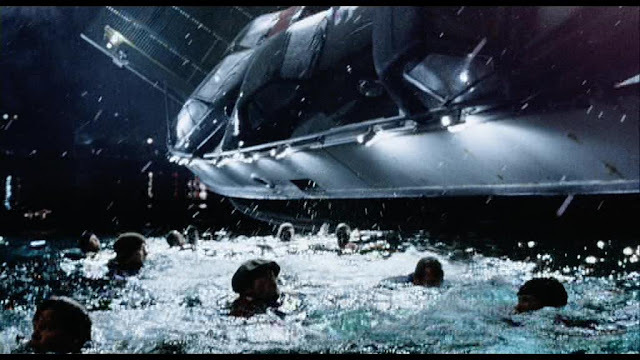 I am afraid I am very much in that camp. 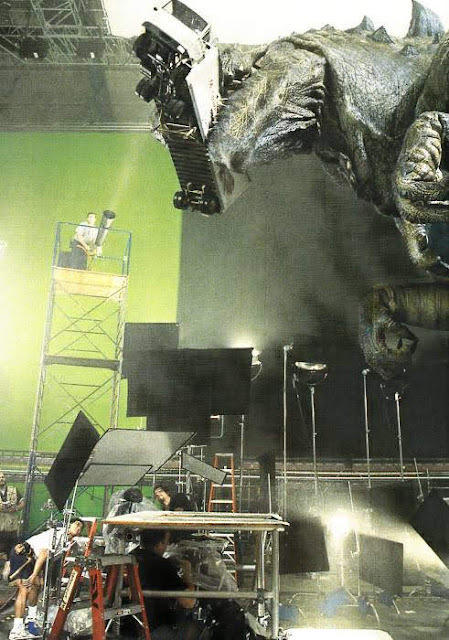 Source: - CINEFEX #103 October 2005.